I was put in charge of the creative direction and execution of LegalZoom’s social media channels. There had never been a proper social media strategy. All posts were ad hoc, not optimized for the channels, and the audience (and context) weren’t taken into consideration. Copy and visuals fell below baseline standards for big brands on social media. Using UX thinking (audience research, stakeholder interviews, contextual considerations, testing, and iterations) I developed a strategy for Facebook, Instagram, LinkedIn and Twitter. 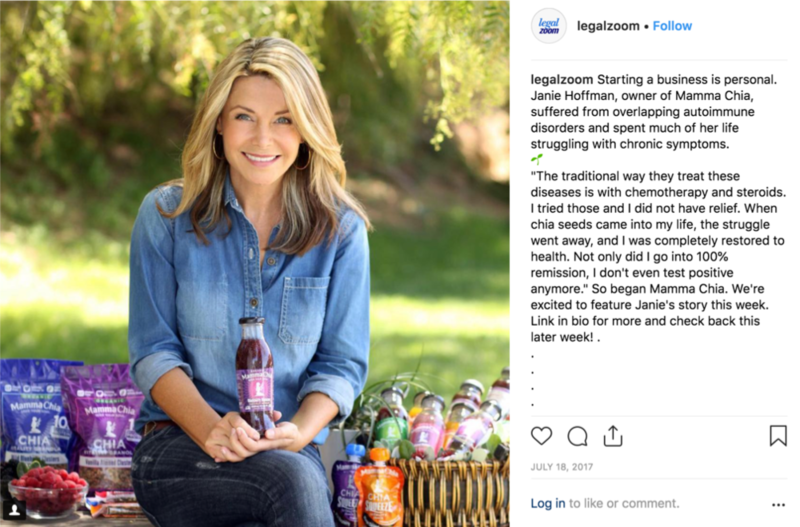 Completely overhauling LegalZoom’s social media channels, the storytelling approach I took informed our product design, paid social campaigns, and content marketing work. Collaborated with VP of Creative, VP of Marketing, Product Marketing Director, Digital Marketing Director, PR Director, and Brand Director to align with the bigger company initiatives and get learnings on audience data. Acquired a social media listening tool to help understand the conversation about LegalZoom brand and learn more about the audience. Developed a strategy and tactical approach for phase one of social media overhaul. Finding the right voice for social media was challenging. While social is casual, conversational, and fun, many brands push the “funny” and “savage” tone, which doesn’t fit the LegalZoom brand. People trust LegalZoom with their immensely private information. Finding the right balance of professional and casual/conversational was critical. People talking about LegalZoom online are equally split between Gen X, Millennials, and Baby Boomers. Being mindful that our reach spanned these demographics was also important. I created a social media strategy, broken down by channel, that focused on both the strengths of the channel meeting the contextual expectations of the audience. We focused on telling both the story of LegalZoom (its values and how its services can help others) as well as the stories of its customers. Doing so would connect with the audience on an emotional level and resonate no matter the generation. Whether you’re starting a business at 25 or 65, the excitement, obstacles, butterflies, and sense of pride rings true. We increased organic following on Instagram by 93% and LinkedIn by 85% in 12 months and upped the average engagement rate by 2%. Customers now reach out to us, wanting to be featured. We began to build a community on Instagram, as it’s the both the most engaged channel and has the highest net sentiment score. The hashtag #cuttheribbon was implemented in a new product flow, encouraging post-purchase interactions with new business customers and our Twitter channel. There continues to be steady use a year later. Many business owners we featured were recommended to us or had reached out to us over the years. It helped us move quickly, but showed a lack of diversity. Build a social media design system (within the larger company design system) for a social visual identity that is unique to LegalZoom. Regular meetings with product and user experience teams to implement social insights into product iterations. Search for diverse customers and business owners to feature.